Reason does neither arise spontaneously nor is it part of an individual endeavour. It is a social, collective conquest. It is so because it emerges precisely from our dialectics with others. Language, the use of words, serves as a vehicle for our exchange with others to the point of helping us assume our belonging to a group, to society. Communication and reasoning are thus matters of survival: we reason to live. Certain misleading identifications may be observed. For example, it is stated that the rational is to be well informed. It is thus suggested, in a tacit way, that access to information develops reason, when actually information is only truly useful (it only makes sense) if is preceded by the ability to process it on the basis of rational criteria. Therefore, it is not only that information and knowledge are not identical; they are not even equivalent. It is precisely the ability to reason about information that becomes knowledge. Reason and lucidity are often painful (you see a lot, and sometimes keeping your eyes wide open may be uncomfortable). But they also liberate. Rationality fosters our autonomy. Of course, autonomy and individuality (by no means individualism), do not mean misanthropy, lack of empathy, nor disinterest in the other, but rather ability to choose, to deal with what one understands to be important or dear, to progress. When we are rational, in addition, and we contribute to others developing their own rationality; we become wonderfully expendable. Reason is not everything, of course; even reason has its limits. As Kahneman explains, people are essentially rational and their thinking is sensible, generally speaking. However, emotions such as fear, affection, hatred ... explain almost all situations in which we move away from rationality. The fact that reason has limits does not mean, however, that there are other ways to access knowledge. It is one thing to understand something complex; quite another to accept that there is knowledge beyond reason. This should be affirmed in times of denial, ramble, fake news, hoaxes and deliberate disinformation. In any case, the rational helps us relate to the world, to reality, but what really helps us relate to others is to be reasonable. The reasonable thing is to accept that others may be right, that their rationality is compatible with our own views. There is some civic resistance in being rational, because that leads precisely to wish that the world were also rational (and reasonable). The reader will have noticed the extent to which fallacious ideas about the essence of democratic culture have spread. As a matter of fact, the nature of democracy is the recognition of the other. We are social beings, so that everything that is not one's self is truly essential: those who do not think like me, those who do not believe as I do; those who are not like me. In any case, it is not only democracy that is contaminated by irrational approaches. Climate change is also a fertile ground for false or misleading ideas. There is scientific evidence of how the emissions of different greenhouse gas and other precursors change the chemical composition of the atmosphere. There is also evidence that change leads to the global increase in temperature, and finally, that this warming is at the origin of a series of impacts and damages. Today, only the final element of that sequence has a certain degree of uncertainty (though this is more about intensity of impacts than about causality); the first two have been proven. According to the 2018 Intergovernmental Panel on Climate Change (IPCC) report (AR5), global warming is unequivocal and, since 1950, many of the observed changes (and their pace) are unprecedented in decades; actually in millennia. The average combined temperature of land and sea surfaces increased 0.85 ºC between 1880 and 2012. On the other hand, projections show that that same temperature will grow significantly during the current century under any evaluation scenario. That will make heat waves more frequent and longer lasting, and will increase the frequency and intensity of extreme events, such as floods and droughts. 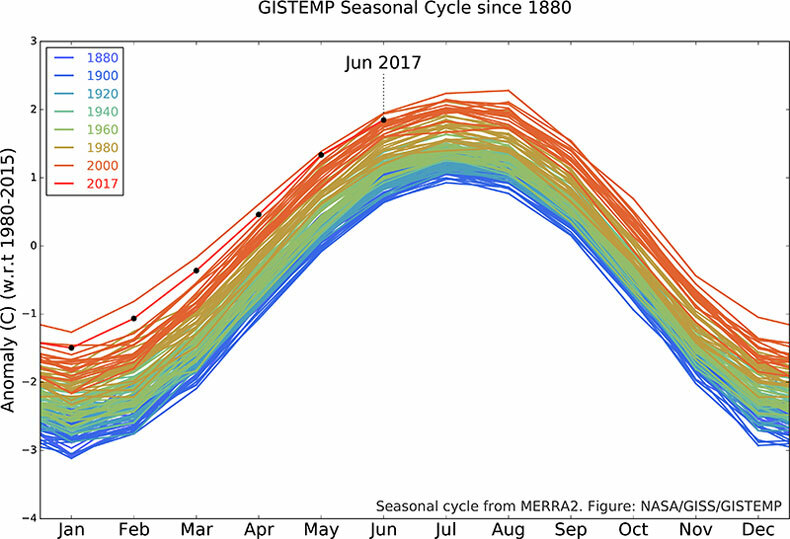 2017 was one of the three warmest years of all over which records exist, with 1.1 ºC over the pre-industrial era. 2016 is still the warmest (+1.2 ºC). 17 of the 18 years with the highest average temperatures have occurred in this century. The challenge, logically, is global. Carbon dioxide, the main greenhouse gas, has decade-long periods of atmospheric residence time, which means that today's emissions will continue to cause damage for years to come. 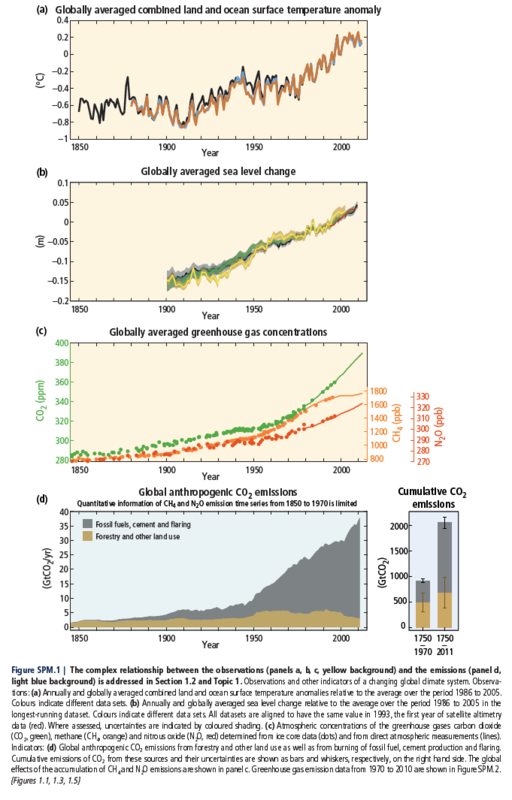 The challenge of mitigation (the significant reduction of emissions of these greenhouse gases) is global by definition. A goal less publicized, though not less important, is adaptation, which also has a global dimension, but at the same time a markedly local fashion (one adapts and is protected in situ). In both cases, different spatial scales coexist: greenhouse gases are almost universally emitted around the world and, at the same time, induce global processes; the distribution of the burden (in the sense of the costs associated with mitigation effort) is done by countries, by sectors - something similar happens with adaptation; some actions to abate emissions or adaptive strategies are necessarily local in nature. The overlap of these scales, of different levels of decision, demands a multilevel governance scheme (international, inter-sectoral, with different administrative levels...). Science has shown the close relationship between seemingly negligible decisions, of individual character, and global consequences. Climate is affected by billions of decisions every day. That fact itself poses formidable contradictions and demands ineffable answers. Some require action from citizens, others from local authorities, and others from different supra-local levels of government. On the one hand, this demands that rationality prevail over irrational denialism; on the other, federal responses. Federalism does not seek to integrate on the basis of dogmas, tribal spells or symbols but precisely on the basis of a rational institutional design that allows a sensible resolution of the dialectics between integration and subsidiarity, between different scales of decision, between everything that is local and what is not. There is no guarantee that the idea of looking for what unites us and building from there will either be successful or predominant. However, we will always have that felicitous quote by the Colombian football coach, Francisco (Pacho) Maturana: "we lost, but we won a little bit".